Superb football game comprising lovely moulded figures, intricate pitch, unusual dice and realistic game play. Endorsed by Gola in the 1970's. 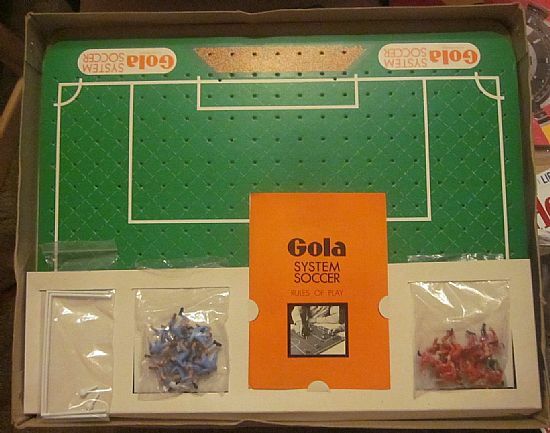 Large box containing folding pitch, goals, players, ball and dice. Lovely unused set with bagged teams, goals and balls plus instruction sheet all held in a card tray. 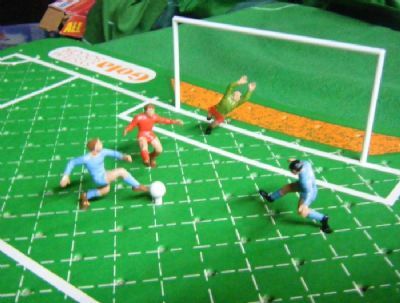 Plastic moulded players, pitch with hundreds of holes in it and basic goals. This is a cracking game to play, extremely skillful and enjoyable. 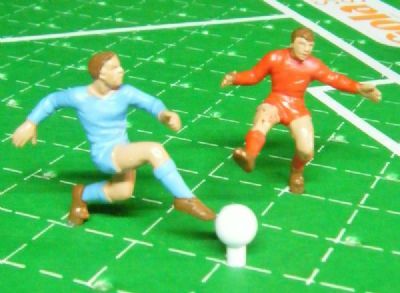 Lovely moulded plastic figures, 22 in total in different poses. Hardboard pitch, hundreds of holes and a foam backed underside. 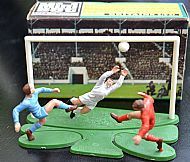 The same plastic figures also appear in the lovely little Britain's mini diorama set 1131 as well.